Carnival of Monsters has a premise that is nicely subversive. 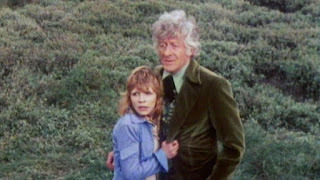 It takes the Doctor and his companion, Jo Grant and puts them in a television-like machine and suggest that it is only horrid and evil people who watch them being chased around by monsters! And in case you didn't get it, that is a perfect description of Doctor Who as a show! Only once had the show played around like this before in the show's history and it wasn't a subject that, even to this day, hasn't been approached much. In the sixties serial, The Mind Robber, the Second Doctor, Jamie and Zoe arrive in a land where fiction is the normal and they have to face up to the facts that they might be fictional characters but don't know it. Carnival sticks almost to the same story but this time pokes fun at the viewers and the people who actually produced the show. 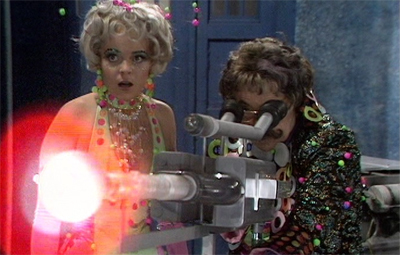 Really, this story could have only come from the hands of author Robert Holmes, a writer who was behind some of the best Doctor Who stories of all time because of his ability to take serious issues and inject them with just the right action and dark humour giving many of his adventures a finally toned edge. 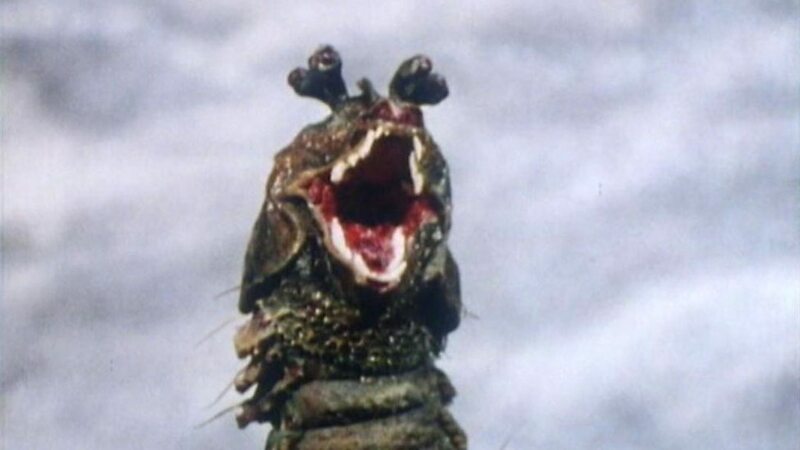 Because of this, Carnival of Monsters is one of the more entertaining and memorable adventures of the Jon Pertwee era. And despite it's shoe string budget, it still manages to do a lot with little. It makes great use of the carnivorous Drashigs, despite it being obvious that are only puppets. To modern audiences this story might not stand the test of time because everything does look a little dated. But the best way for people like that to enjoy the shows that were put on at this time is to look at them as televised theatre. You are obviously not going to get the special effects that come with today's blockbusters and certain television shows but if you bring along your imagination it'll fill in the details and who knows, you might even find yourself enjoying it! Carnival is a classic example of the story motif that Holmes used in all of his adventures, chaos versus order. A group of rogues fighting the system of stifling bureaucracy. In this case, the rogues are a couple of people who work as freelance carnival acts. They arrive on a planet with the intention of bedazzling the grey faced inhabitants of the planet Inter Minor. They arrive with their Miniscope which, much like a television, allows you to watch different animals in the miniature zoo simply by changing channels. We see that humans, Daleks, Ogrons and Cybermen are on offer in their show. 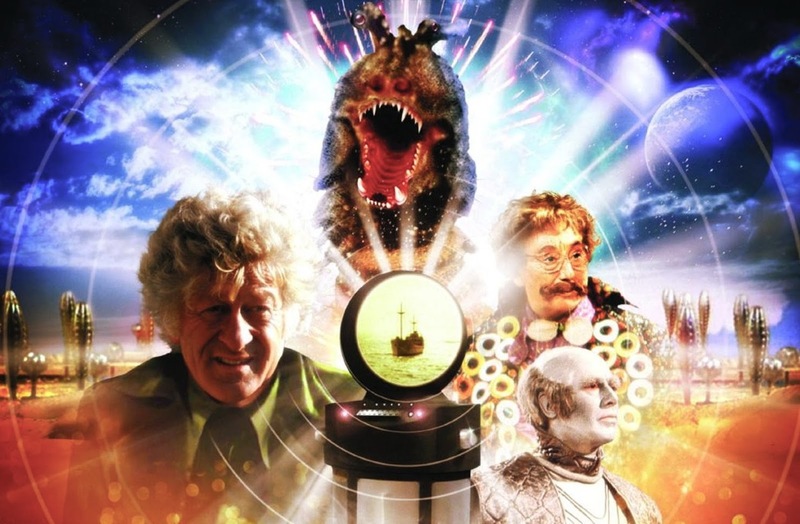 The Doctor quickly deduces that they aren't in the middle of the Indian ocean, one from the dinosaur and two, the time on the clock tells him it should be night time outside when it is still daylight. What he doesn't know is that he is trapped inside Vorg, the male carnival sideshow's, prized Miniscope. It is a shame then that we already know where he is as we have seen the Miniscope earlier in the story. Had we not seen this then the cliff-hanger to the end of episode one would have been truly mind-boggling with a giant hand reaching inside the ship and pulling the TARDIS out. When we find out just what the hell is going on, you can't help but feel sorry for the poor people on board the Bernice have been forced to live the same day over and over again. It is ironic that the story's chaos maker, Vorg, gets to end up the hero when he fixes the Miniscope and comendeers one of the alien's guns to stop Kalik, one of the aliens on Inter Minor's, attempted Drashig massacre. But you can't view him at the end of the story as the paladin as he partly responsible for what happens with the Drashigs throughout the adventure and he never truly understands just how monstrous it was to kidnap the people in the Miniscope in the first place. And given the way we leave him in the story, you can't see him as the hero as he is now trying to scam the aliens out of some money with some tricks. Still, he is exactly what the people of Inter Minor needed, a force of chaos to change the stiff bureaucracy that plagues the world. But this story makes it even harder to see exactly where the Doctor stands on the subject of chaos and order. As usual, we can believe that yes, he knows that the people on the planet are oppressed and needed someone like Vorg to come along. 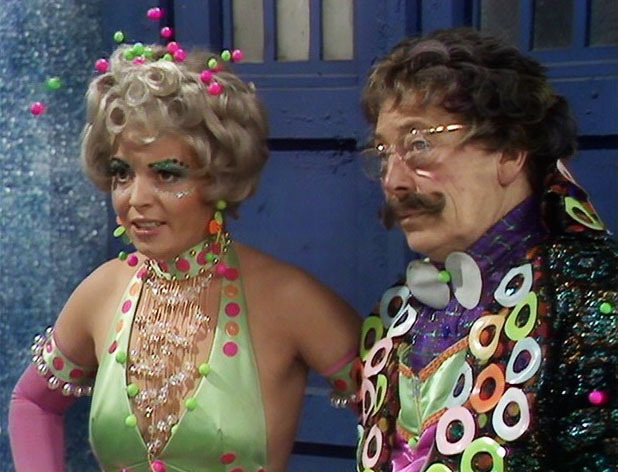 And you could draw comparisons between the Doctor and Vorg who are both vagabonds with no fixed abodes. But here the Doctor is more friendly to Vorg than he is too the people of Inter Minor. The Doctor takes great pride in telling Jo that he had a hand in banning the use of Miniscope claiming they are a crime against all sentient life. Yet he doesn't seem to get very angry with Vorg for having one. You can also draw comparisions between the Doctor and Jo and Vorg and his assistant, Shirna. Both The Doctor and Vorg are middle aged men who have young female companions and both use machines that are bigger on the inside than they are on the outside. It is nice though that the final thing we see in this story is Shirna smiling as the TARDIS dematerialises, she knows a good trick when she sees one. Following the chaos and order plot that this story has is the name of the planet. It is boringly named, Inter Minor, which is exactly the sort of name you would give to an uninteresting planet. It was a good job in the long run that Vorg and Shirna turned up when they did as the president of the planet was looking for a way to keep the slaves, the functionaries, from heading into a revolution. What they need is a little light entertainment. And as usual, you always get those who disagree, that side of the story is told through the eyes of Kalik. But there is one unfortunate plot point that is never even addressed in this story. That is that the Doctor and Jo don't take any side of the functionaries. In fact, I'm not sure that either of them even notice the oppressed people. That one minor fault aside, Carnival proves to be a cracking adventure coming from the hands of someone like Robert Holmes. All the cast involved make the most of what they have to do and the whole thing comes off well. Even the Drashigs, despite being hand puppets work wonderfully. It is easily one of the best and most memorable of all Jon Pertwee's outings as the Third Doctor!